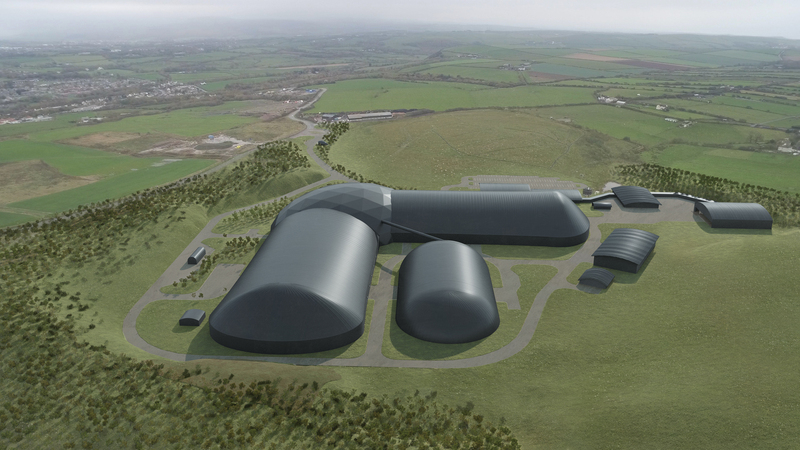 On 19th March 2019 Cumbria County Council unanimously approved the planning application by West Cumbria Mining (WCM) for Woodhouse Colliery just south of Whitehaven. The Colliery project will develop a new underground mine to extract metallurgical coal for use in steel making. Within 5 years of the completion of construction, the mine will achieve a steady state level of production of 2.4million tonnes per annum over a minimum of 43 years. So how do you obtain planning permission to open the first new underground coal mine in 30 years? It may seem obvious, but start with an exceptional scheme. At an early stage WCM were clear that the scheme they would be bringing forward would be one of which the local community could be proud. It would be wholly different from traditional coal mines in terms of its design and environmental impacts. Iconic buildings which totally enclose the receipt, processing, and dispatch of the coal from the underground mine provide a blend of statement building design with minimised environmental impact. Coal transported by rail avoids the issues associated with road traffic. The design of the rail loading facility reflects its location in the Pow Beck valley was designed to blend with its largely rural surroundings within its operational constraints. WCM are also committed to engaging with and responding to the local community. This started at the very inception of the scheme and continues now. WCM have maintained a dialogue with the local community and other stakeholders through a liaison group, regular open days and newsletter updates. Given a history of coal mining within the local area a degree of support could have been anticipated, but the open attitude to the development of the project with the local community and the investment in pro-actively seeking views has resulted in a better scheme. As a consequence the level of support for the planning application overwhelmingly exceeded its opponents. It was also very important to WCM to establish a productive working relationship with Cumbria County Council as the relevant planning authority for their proposal. This was manifest in a Planning Performance Agreement which secured a collaborative approach to the preparation of the planning application and its subsequent determination. This agreement also provided additional resources to the county council to facilitate the engagement of specialists to advise planning officers. The WCM team also worked with bodies that were consulted on the planning application to ensure that potential issues were identified and addressed at an early stage. •	landscape design and impact assessment. We have been involved in all stages of the planning process, from scoping, through preparation of the Environmental Statement, Planning Statement and Design Statement, to managing the post submission stage, responses to the local planning authority and negotiating and drafting planning conditions and assisting with the S.106 legal agreement. It will come as no surprise that a project of this scale and complexity led to a series of issues which required managing and responding to in the post submission stage. Our planners helped to provide solutions to a number of such issues. One example was the issue of potential contamination on the main site. This site is a former chemical factory with a high probability of residual contamination from the chemicals it produced. This was a very real concern for the Environment Agency (EA). Stephenson Halliday and WCM met with EA representatives to go through the concerns and look at solutions. Stephenson Halliday planners worked up a suite of conditions to manage the development in a way that provided the EA with sufficient comfort to allay their concerns. Indeed, our planners worked up a comprehensive set of conditions for discussion and negotiation with the planning authority which ultimately addressed all outstanding issues to allow the application to move forward with a recommendation for approval. Our landscape staff were tasked with the challenge of preparing a landscape design for the main site and rail loading facility. The challenge for the landscape design was to also accommodate significant volumes of excavation spoil which would arise from driving new drifts down to the target coal measures. The resulting landscape design for the main mine site comprised two significant landscape mounds to the north and south. The mounds utilised the available material to develop mounds which provide visual and acoustic screening of the site supplemented by the proposed planting. The organically shaped mounds allow for carefully selected framed views of the iconic mine buildings. For the rail loading facility selected areas of planting provide softening of the views of the new building helping it integrate with its environment and providing partial screening of the railway and trains in the process of being loaded. Overall, Stephenson halliday have been proud to work on this scheme. It is a truly exciting project which will deliver real benefits to both the local community and the UK steel industry. Our relationship with Stephenson Halliday started well when our initial enquiry and request for support was quickly and confidently fielded by them. Since then we have gone on to build SH into our team such that they can respond and act on planning matters directly on WCM’s behalf. In addition to their knowledge and experience in planning matters, Stephenson Halliday’s location in Kendal afforded us an insight into the workings of the County Council which helped guide the planning application through the process. Given that this was the first application for a deep coal mine to come before a decision-making authority in 30 years it was no surprise that there were issues and hurdles no one expected along the way. By working closely as a team rather than as client & supplier we were able to address these issues head on and overcome them. SH continue to work alongside us as we discharge the 99 planning conditions set out be Cumbria County Council.